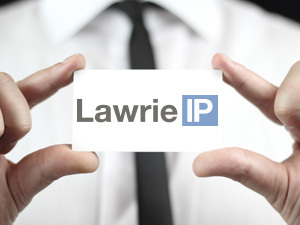 Lawrie IP is a firm of Patent and Trade Mark Attorneys (regulated by IPReg) that was formed in 2010 by Donald Lawrie. At Lawrie IP our first priority is to understand clients’ commercial objectives; only then can we advise them how best to protect their intellectual property (IP). We provide clients with bespoke IP strategies and both realistic and proportionate long term IP budgets. All of Lawrie IP’s attorneys and consultants have many years’ experience working with some of the UK’s largest firms of patent and trade mark attorneys. This large firm experience is reflected in the way that we manage our clients’ IP portfolios, through the use of our professional records and docketing systems and our monitored internal working practices. Uniquely, however, we believe that Lawrie IP offers to its clients the experience and security normally associated with a larger firm, but coupled with the flexibility and cost benefits of working with a smaller firm.